It's that time of year again when parents all over the world start to use the age old bribery line, "Be good otherwise Father Christmas will put you on the naughty list! He knows!" I'm sure my parents said this to me and now I have a child of my own, I have definitely used the line to enforce some good behaviour! Times have changed too and nowadays you can create personalised videos from the North Pole to enhance the magic. 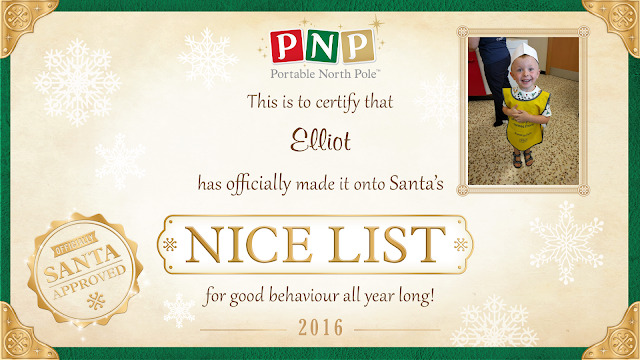 We have used the Portable North Pole app for the last few years and it has always been very popular with Elliot who absolutely loves that Santa knows his name! This year we were invited to test out the Magic Pass which costs £9.99 and gives you lots and lots of extra treats on the Portable North Pole website. 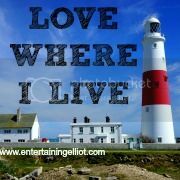 As well as the standard video that anyone can download on the website there are lots more premium videos to create including Your Big Book and Secret Places. You can personalise all these videos to make it extra special for your child - you can even add photos of friends and family members to make it more magical! Another benefit of the magic pass is the reaction recorder - you can use the app to let your child view the video on your phone/tablet and it will record your child's reaction. This is priceless! You can see on the video below when Santa says Elliot's name - that big smile! There are also lots of calls available to download and just like the videos these can be personalised. There are lots to choose from including Congratulation and Mrs Claus is baking cupcakes and special Christmas Eve ones such as a Special Surprise from Santa's Elves. I think this is a lovely thing to do at Christmas and really makes it magical for the children. The free version is great but I do think the Magic Pass at £9.99 is brilliant value for money - especially if you have more than one child because you only pay the once. Elliot is loving the videos on the website and I can't wait to create some more for him to watch!